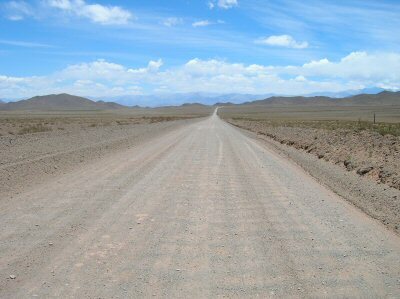 the road to cachi varied between winding snake to garden rake. straight ahead on this bit. sophie doing a proper super-model pose with the rental car. 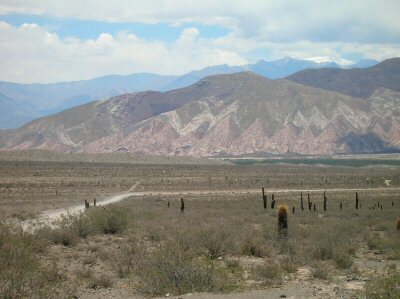 cactus, colorful mountains. magical place. don't see signs like this too often back home. 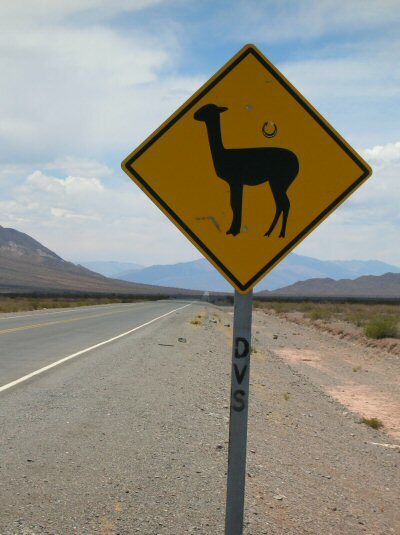 watch out for crossing llamas. 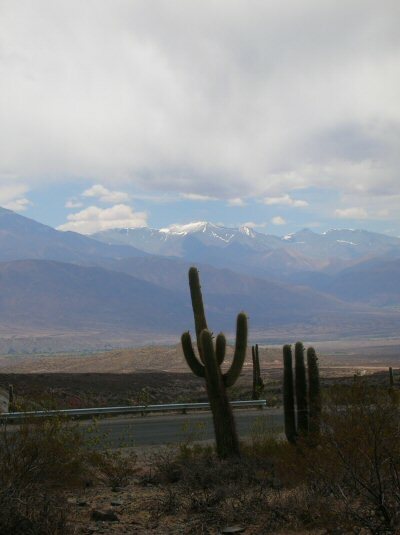 seeing snow-capped peaks at the same time as cacti is a strange but beautiful sight. 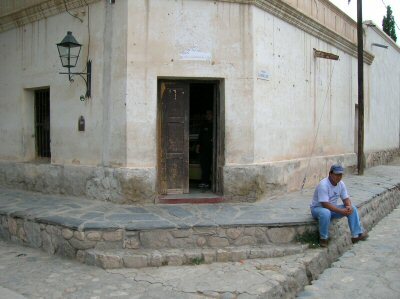 one of two cafes in the town of cachi. 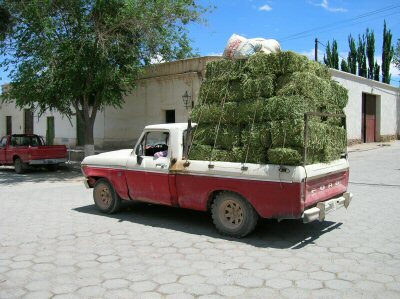 i think there is some room left...you can probably fit more hay in there. 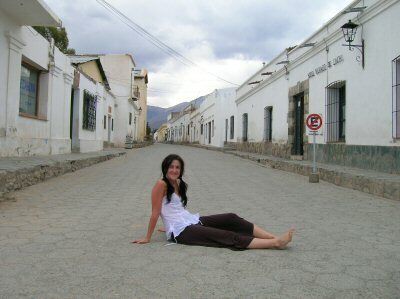 sophie on a cool corner in cachi. 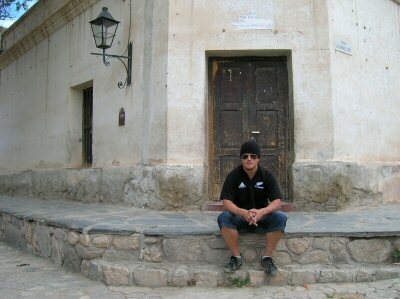 always seems to be some old guy sitting on corners like this. 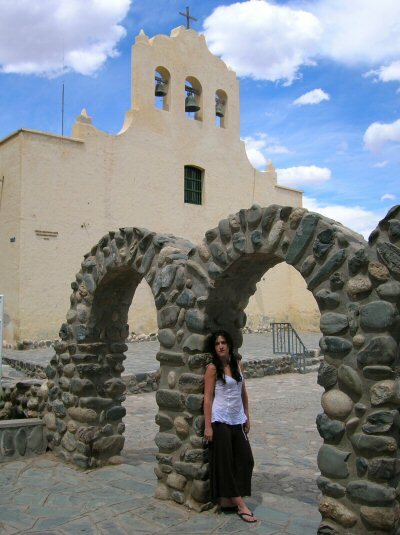 some cool churches in cachi. sophie posing with one. 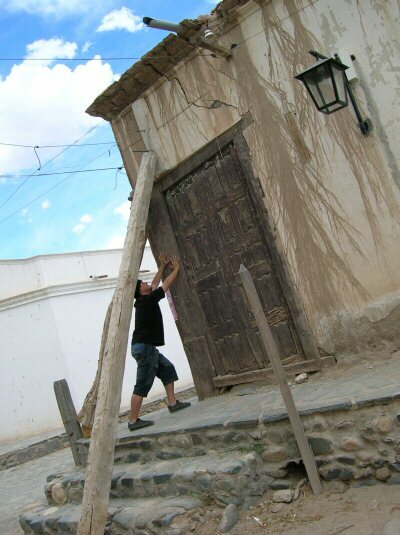 a few of the old buildings in cachi were falling over, held up only by tree trunks.....and helpful americans. 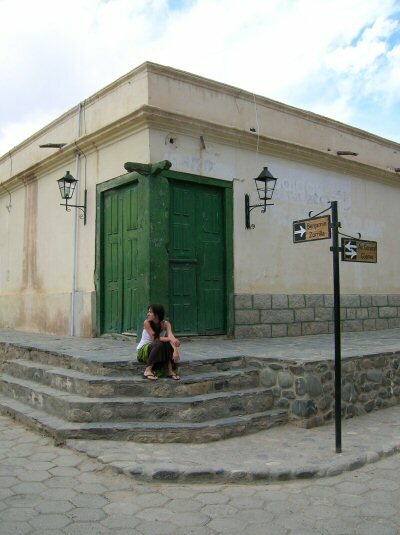 sophie in cachi, pointing something out. not much traffic in this tiny beautiful town. sophie had a seat in the street for this shot. 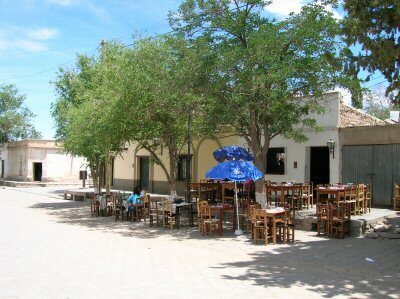 we stopped at the other cafe in town for a drink. on the edge of the small park, very quiet and relaxing. 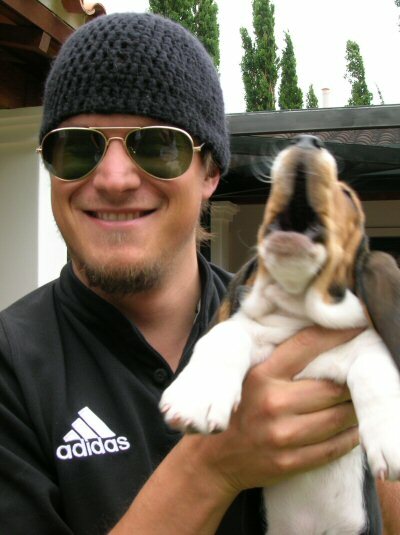 love this picture. 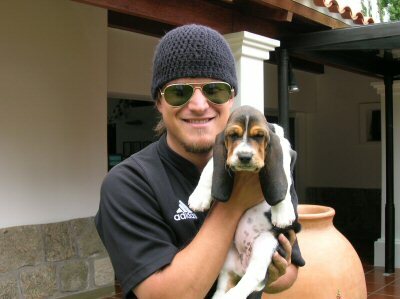 we stopped at a hostel in cachi where i found this puppy. i guess i wasn't holding him properly so he started to howl at me. i held him better for this shot. 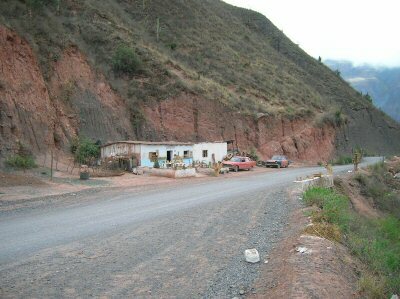 a typical roadside store from cachi back to salta.